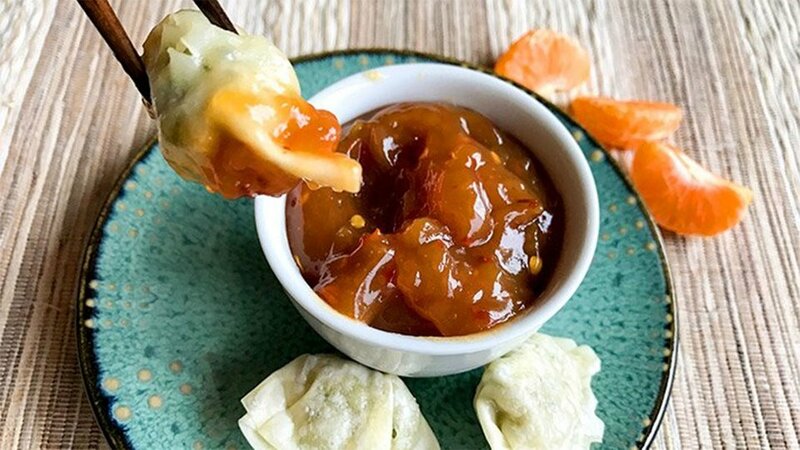 This Asian-inspired sauce is perfect for dipping spring rolls and pot stickers, and it makes a delectable glaze for chicken and shrimp! Did I mention it tastes even better than the bottled stuff for less than half the calories? Mmm hmm. Combine orange juice, vinegar, brown sugar, and ketchup in a small saucepan. Simmer over medium-high heat for 5 minutes. Combine water and cornstarch to make a slurry, then add to saucepan. Reduce heat to medium-low, and stir until thickened.